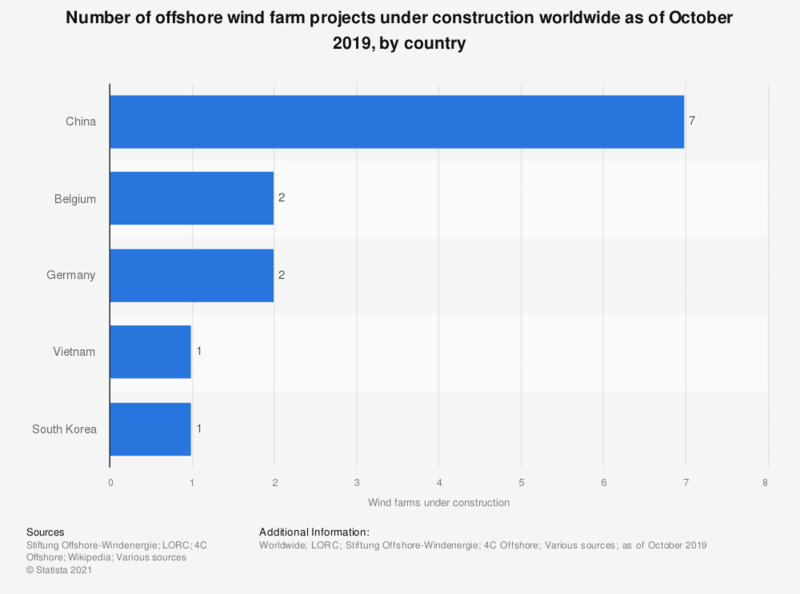 This statistic illustrates the number of offshore wind farm projects under construction in leading wind power countries as of October 21, 2018. There were some four wind farm projects under construction in Germany. Higher wind speeds that occur offshore in comparison to land, allows for a higher supply of electricity from offshore wind energy.